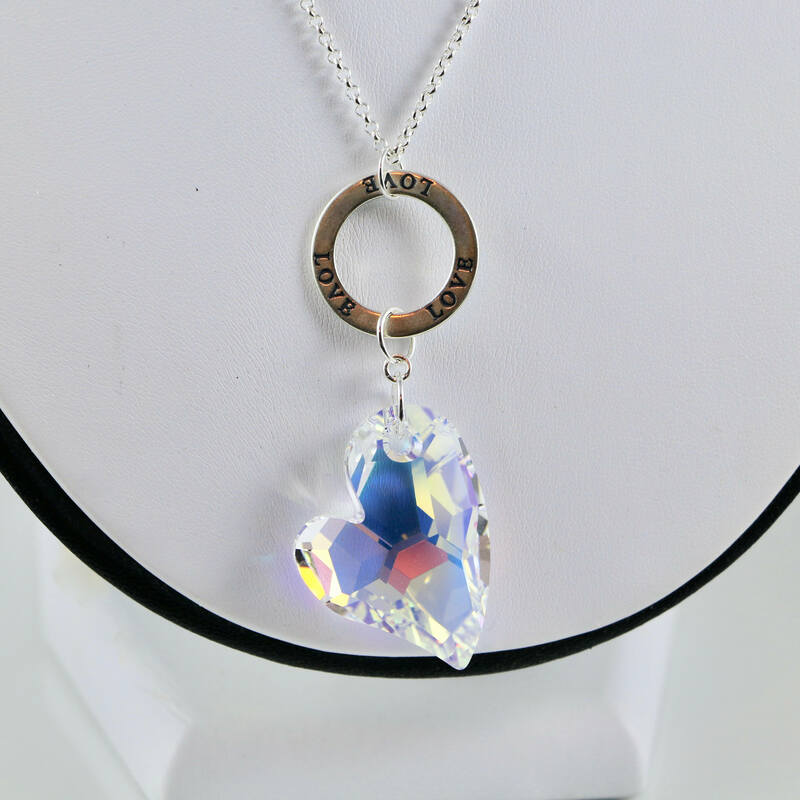 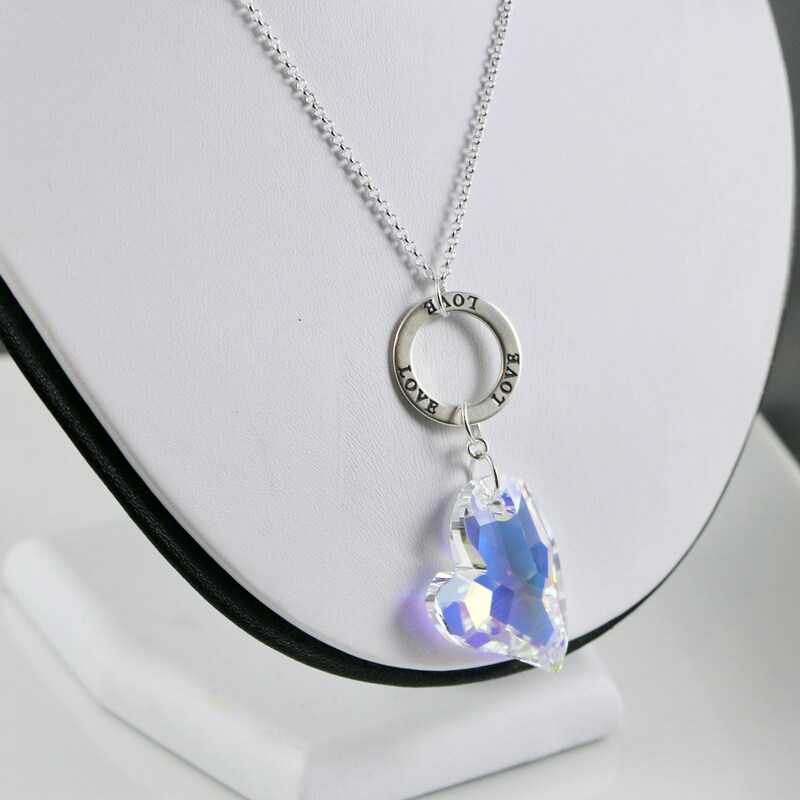 Necklace Ingredients: 42mm Swarovski Crystal Auora Boralius (AB) Devoted 2 You heart pendant suspended from a sterling silver circular link monogrammed with LOVE. 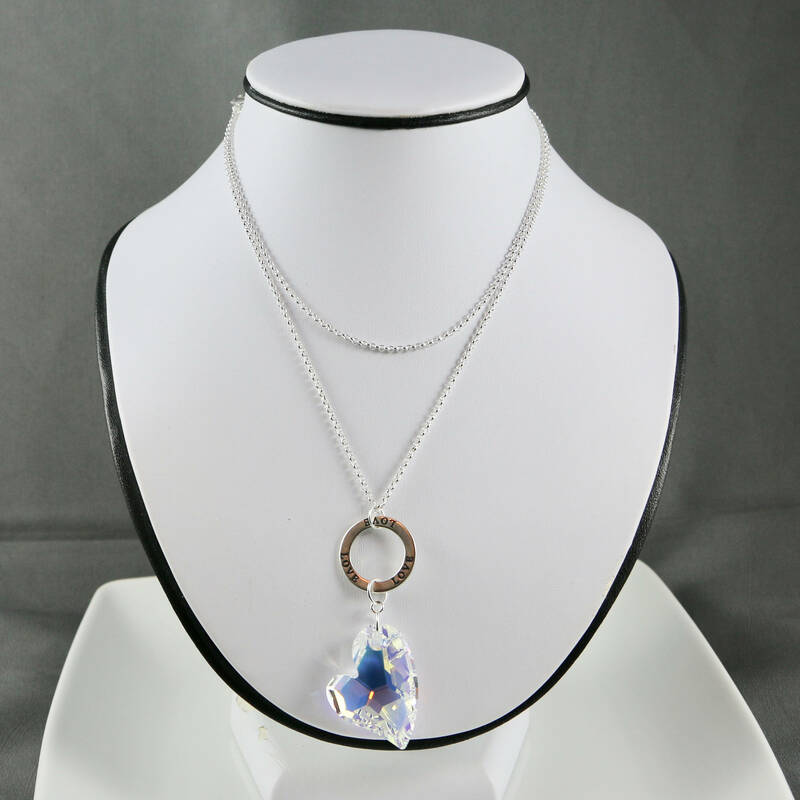 Necklace is approximately 30" from end to end and is made with sterling silver rolo chain. 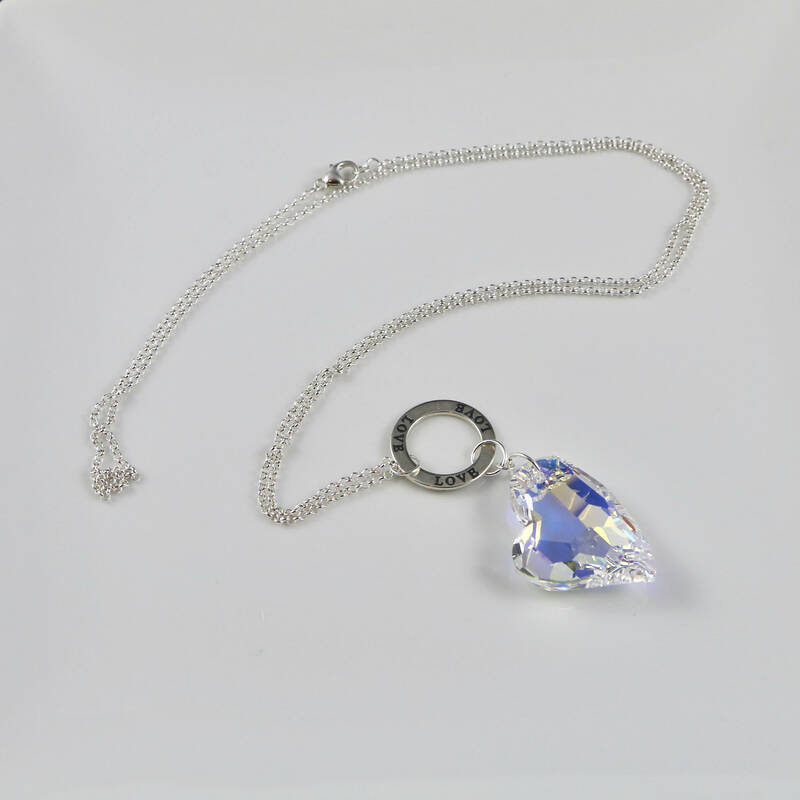 Pendant is approximately 4" from end to end.